Singapore (AFP) – An electric car-sharing service will be launched in Singapore in December, in what the company behind the scheme said Wednesday was a first for Southeast Asia. 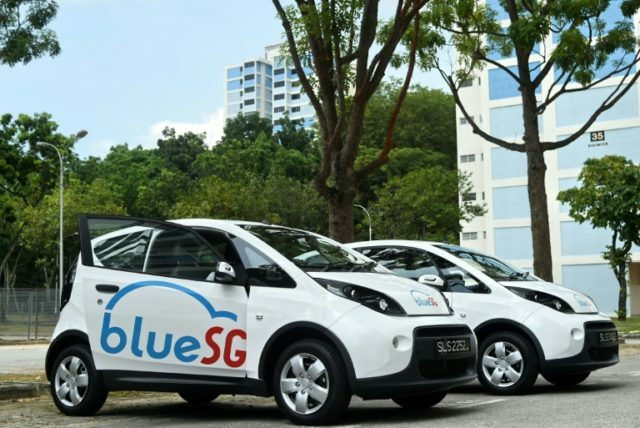 BlueSG, a subsidiary of France’s Bollore Group, said that 80 cars and 30 stations where vehicles can be picked up and dropped off would be operational by the end of the year. The affluent city-state — whose generally uncongested roads are a contrast to many traffic-choked cities in the region — has become a testbed for transport innovations. Last year it hosted a limited public trial of the world’s first driverless taxis. “We will start in Singapore, and afterwards we will see if other regions in Asia are interested,” Bollore said at the launch of BlueSG’s new Asia-Pacific headquarters in Singapore. Land Transport Authority chief technology officer Lam Wee Shann said the initiative would “lay the foundation” for a network of electric vehicle charging stations, and support the growth of electric car use in Singapore. Blue Solutions is the world’s biggest operator of electric car-sharing services, with 5,000 other electric vehicles in eight cities — including Paris and Lyon in France, Turin in Italy and Indianapolis in the United States. Nissan in March started a similar service in the city of Yokohama south of Tokyo.